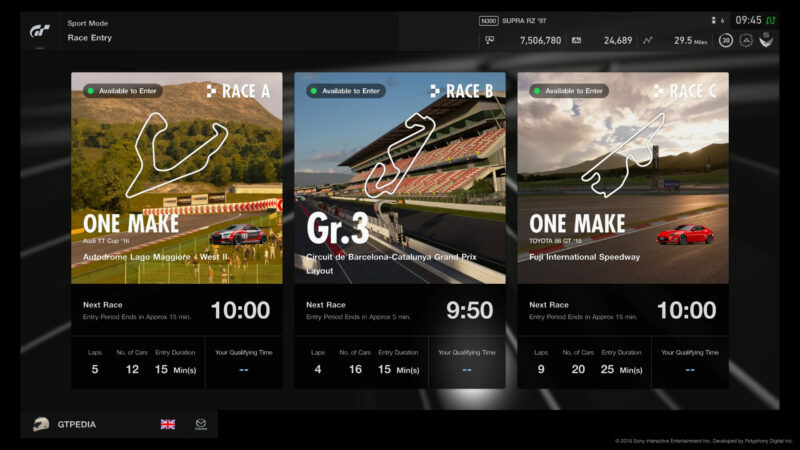 It’s a One-Make week in GT Sport‘s Daily Race this week, as two of the three events feature single-car fields. 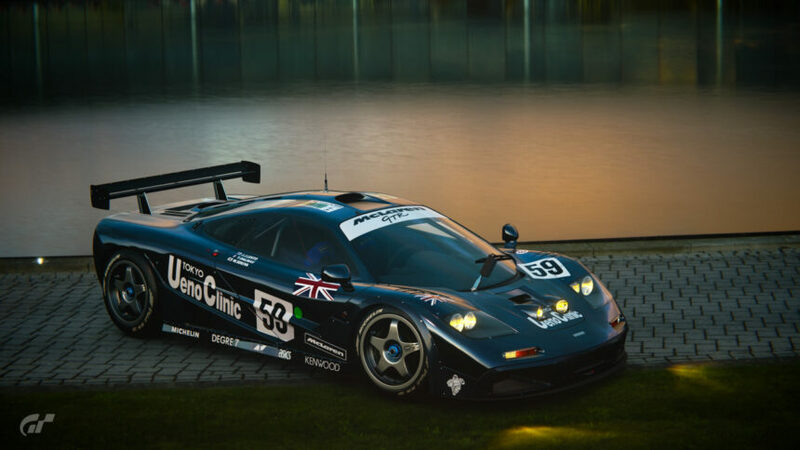 Unusually, Race C is one of these — and even more strangely, it features a road car. You’ll need to pick up a Toyota 86 GT for this longer race at Fuji Speedway, which means it’s a chance to show off your livery design skills. One choice of tires means there won’t be much strategy going on though. The other one-make is Race A. This uses a provided Audi TT Cup car — one of the front-wheel drive Gr.4 race cars — for a five-lap race at the reverse version of the West layout of Lago Maggiore. Sitting between the two is a simple four-lap sprint at the Catalunya circuit in your choice of Gr.3 race cars. All three races will run through to Monday, April 15.